Obituary for Betty Jean Haynes | L.E. Black, Phillips & Holden Funeral Home Inc.
Services will be 11:00 a.m. Friday, April 5, 2019 at Third Baptist Church, 1177 Park Hill Drive, Youngstown for Mrs. Betty Jean Haynes, 81, who departed this life April 1, 2019 at her home. 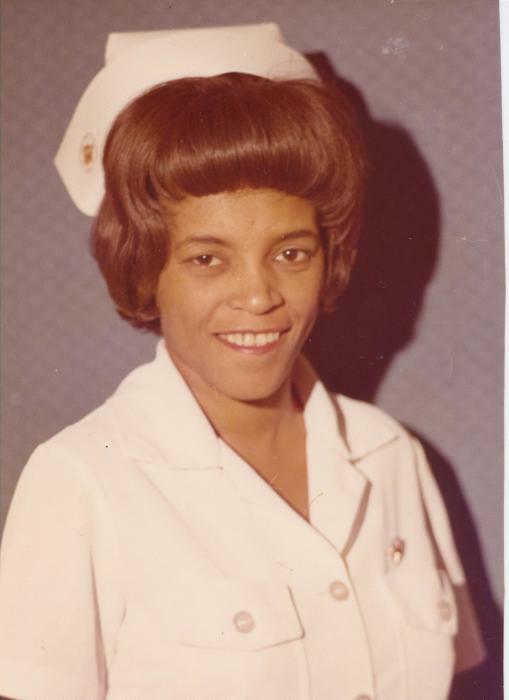 Mrs. Haynes was born June 30, 1937 in Youngstown, a daughter of Ernest and Edna Bines White. She was a graduate of South High School and Kent State University. She was a member of Third Baptist Church and had been employed at Ron Joy Nursing Home as a Physical Therapy Assistant. Betty loved doing crafts, cooking, gardening and being with her family. She leaves to cherish her memories, her children, Gail Fordham of Youngstown, Tracey White-Dodson of Warren and Maurice White of Youngstown; a sister, Dorothy White of Youngstown; 12 grandchildren; 38 great-grandchildren; one great-great-grandchild; her long time friend Ms. Earlis Mack; two cousins, who were her caregivers, Camela Tucker and Voneta White; and a host of nieces, nephews, other relatives and friends. Besides her parents and her husband, Eugene Haynes, she was preceded in death by a daughter, Sherrie White; her siblings, Celcie White, Ezadore White, Gertrude White, Curtis White and Roy White. Friends may call one hour prior to the services from 10-11:00 a.m. at the church. Arrangements were entrusted to L.E. Black, Phillips and Holden Funeral Home.